Enter for your chance to WIN two (2) tickets to the Conference on 4/26 and 4/27. One (1) grand prize winner will also receive a 2 night hotel stay. NO PURCHASE NECESSARY Sweepstakes open to residents of Arizona who are 21 years of age or older. Sweepstakes ends at 11:59:59 p.m. MST on 4/21/19. 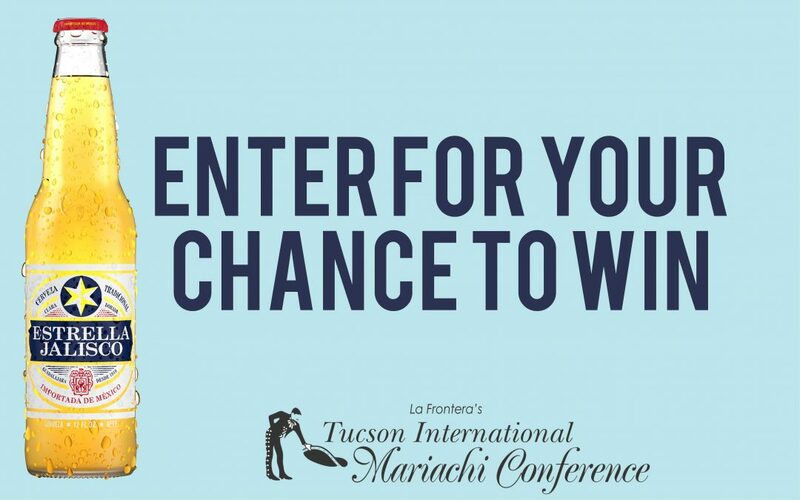 To enter, use your smart phone or other web-enabled device to text “MARIACHI” to 86677 or visit https://hensley.com/estrella-jalisco-mariachi-conference-sweepstakes and follow the instructions. See Official Rules at https://hensley.com/estrella-jalisco-mariachi-conference-sweepstakes for prizes and details. Message and data rates may apply. Void where prohibited. Founded in 1955, Hensley Beverage Company is Arizona’s leading distributor of Anheuser-Busch InBev beers, top selling local & regional craft beers, award winning fine wine and spirits, and premium non-alcoholic beverages. Hensley is one of the largest family owned and operated beverage distributors in the nation.